Thought you knew everything about haircolor? Wella Professionals® reveals findings from a recent survey that might surprise you*. Since consumers often have misconceptions about haircolor, Wella wanted to find out what women are REALLY thinking when it comes to coloring their hair. Below, find out what myths turned out to be true – and which were off the mark. “We’ve been in this industry for years and are always astounded how many clients are not aware of the ins and outs of haircolor. All of our stylists emphasize the importance of in-depth consultations with clients about salon services and haircolor benefits,” said Sonya and Christopher Dove, Wella Professionals Creative Directors, who have worked in the industry for 27 years. TOP 10 HAIR COLOR MYTHS DEBUNKED – TRUTH OR FICTION? 1. For the best color advice, talk to your friends. 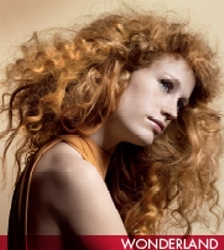 Fiction: Most women surveyed – 69% – said that they got most of their hair color advice from a colorist/stylist. From the remaining women surveyed, 4% chose to get most advice from a friend and 7% percent chose articles in magazines. Having a consultation with your colorist is crucial as he or she is the most knowledgeable source in hair color theory and can give the best recommendations on which color complements your skin tone, eye color, fashion style, and personality. 2. Highlights are taking the salon industry by storm. Truth: 46% of women surveyed chose highlighting as the service they most frequently request at the salon, over full-head haircolor at 35%, fashion/bold color accents at 4% and color gloss/glaze at 1%. Being in touch with the industry, Wella launched a new highlighting technique called Cosmic Blonde, which uses state-of-the art lightening technology to create a unique, shimmering “cool-warm” effect to highlights, making everyone’s favorite salon service even trendier. Be sure to ask your colorist about the latest techniques, as trends and color services are constantly evolving along with the folks at Wella. 3. Coloring your hair makes it appear less healthy. Fiction: Actually, coloring your hair can add a lot of benefits including leaving hair shinier (91% of women surveyed agreed) and well-conditioned (89% of women surveyed agreed). Plus, 29% of women surveyed said the overall health of their hair was actually healthier after hair coloring. Only a professional colorist knows how to best apply color correctly in order to leave your hair shiny and beautiful. 4. The main reason women don’t color their hair is because they don’t want to change their natural color. Truth: 55% of women surveyed said they haven’t colored their hair in the past year because they like their natural hair color. Only 3% said they don’t color because they have no gray to cover. However, if you love your natural haircolor, that’s all the more reason to get a professional service to enhance it! Everyone can benefit from a demi-permanent color, such as Wella Professionals Color Touch, because its gentle formula actually leaves hair shinier and well conditioned, thus enhancing your natural color and improving the condition of your hair. Additionally, it doesn’t leave a demarcation line because it washes out. 5. Consumers don’t know the difference between semi, demi and permanent hair color. Truth: 47% of women surveyed said they didn’t know the difference. However, knowing what to ask from your stylist or colorist at the salon makes the difference between fabulous color – or months of regret. Semi permanent can last 1-3 weeks, demi permanent can last 4-6 weeks, and permanent is, well, permanent and lasts until it grows out. So a proper consultation process is important to determine what you’re looking for out of your color treatment. 6. Consumers don’t think it’s important to get to know their colorist. Fiction: Actually 73% of women surveyed think it’s important for their colorist to know their personality and to make small talk at their appointments. In fact, 38% of women surveyed even said that if they were throwing a party, they would invite their colorist/stylist! The more your colorist gets to know you and your style, the more insight they‘ll have on what you might like, what color will be easiest to maintain, and what best suits your lifestyle. 7. 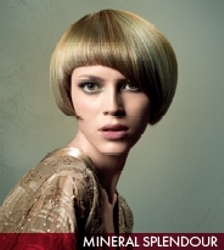 Professional products designed for color-treated hair help maintain color between salon visits. Truth: 79% of women surveyed agreed that professional products will help keep haircolor from fading in between salon visits. Wella Professionals Color Preserve Care and Styling collection protects and preserves up to 78% more haircolor (as compared to leading professional products). 8. Everyone must color their hair every four weeks. Fiction: 22% of women surveyed color their hair every 2 to 3 months and 18% of women said they color every 4 to 6 months. It really depends on individual hair color needs, the level of technique performed on the hair, and whether you’re using a semi, demi or permanent color. 9. Celebrities and magazines are most influential in what new service or technique consumers try. Fiction: 74% of women surveyed said that a recommendation from a stylist or colorist would be the most influential in determining if they tried something new. A good number of stylists and colorists attend educational seminars, which means they are constantly learning new techniques and gaining knowledge on the latest trends. Who do you think styles celebrities in the first place? They don’t color their own hair, that’s for sure! 10. Haircolor can make you feel better about your appearance. Truth: 69% of women surveyed said they feel attractive immediately after having their hair colored and 61% feel confident. Whether you’re changing your hue to something more bold and adventurous or just touching up the roots, hair color adds richness and vibrancy so that your hair appears healthy and shiny, making everyone around you take a second look. You can get the latest haircolor designs by The Doves at their new salon The Doves, which boasts stylists who have worked with a clientele of Hollywood A-listers including Fergie, Sandra Bullock and Amanda Peet. The salon is located in Santa Monica, CA. To find a salon near you, call 800.935.5273. 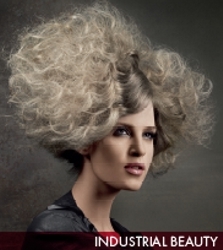 For more information on Wella products and services, visit www.wellausa.com. 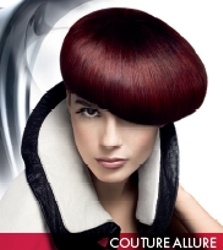 Wella Professionals is a leading manufacturer of professional color, care and styling products. Wella Professionals brands include Koleston Perfect®, Color Perfect®, Color Touch®, MagmaTM, Midway Couture®®, Performance Plus®, Blondor®, System Professional® and Color Preserve®. Superior products, inspiring education and unique salon business-building programs make Wella Professionals a world leader and expert in hair, cosmetics and beauty. 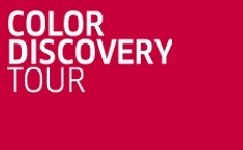 Wella Professionals Color Discovery Tour Hair Color Correction Secrets – Removing Black Wella Professionals USA Announce Trend Vision 2009 Finalists Great Beth Minardi Color Webinar Tonight For Professional Hairdresser: The Truth About Lightener What Part Does Hair Color Play In Your Life? This entry was posted on Tuesday, July 21st, 2009 at 4:49 am	and is filed under Blonde hair color, Brunette Hair Color, Chemical Hair Treatments, Hair, Hair Color. You can follow any responses to this entry through the RSS 2.0 feed. Both comments and pings are currently closed.